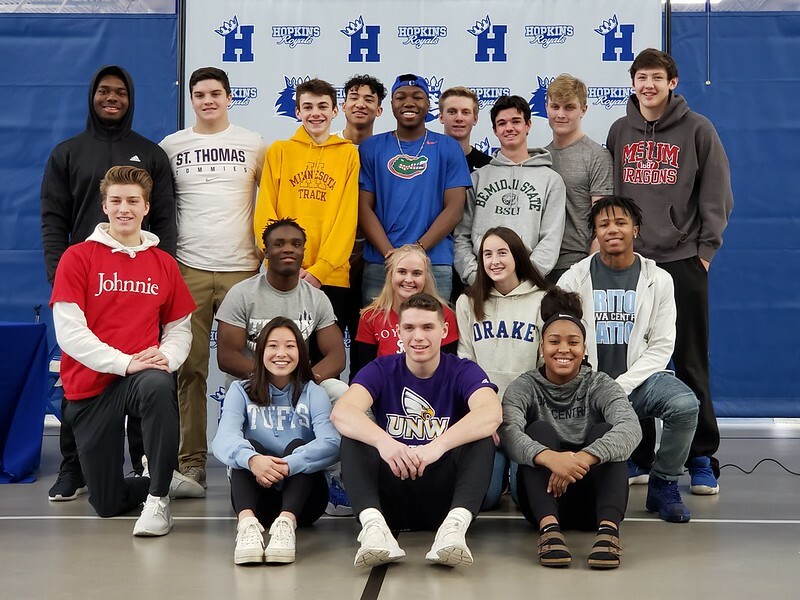 Hopkins High School athletes signed Letters of Intent as they take the next step in their athletic careers. The Royal athletes from a variety of disciplines participated in National Signing Day on Feb. 6. Seventeen Hopkins High School students revealed their commitments to participate in their sport post high school. Hopkins High School held a small event for the biggest single group to sign at one time. Friends, classmates, parents, coaches and administrators came out to show their support for the student athletes.